Junaita Stein is an Australian Americana/Country singer/songwriter who currently resides in the UK. 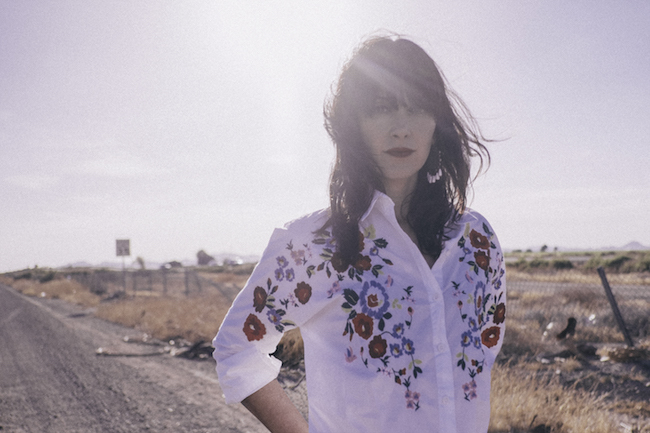 Juanita may be familiar to some as the singer / songwriter with Howling Bells. 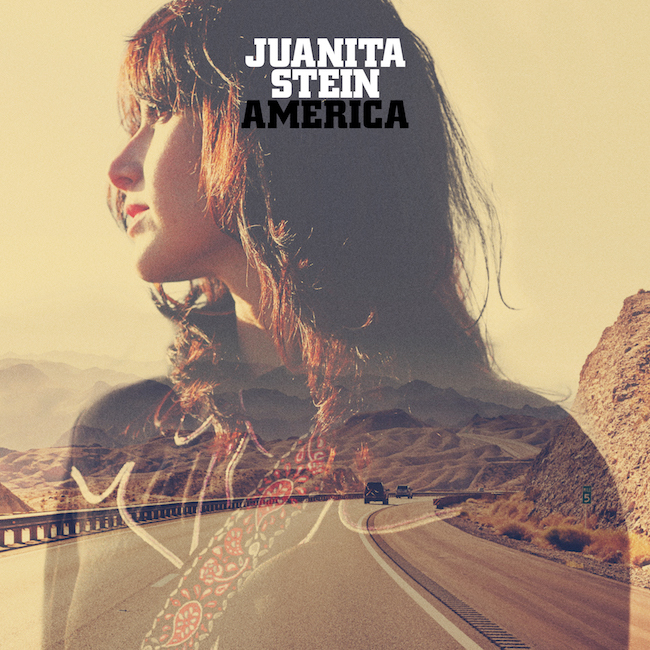 Juanita’s solo record America was released in July and was recorded with producer Gus Seyffert (Beck, Ryan Adams) in Los Angeles. Following recent tours with Michael Kiwanuka and Richard Hawley and a North American tour in May with UK dates over the summer including with Tom Petty in Hyde Park and Cambridge Folk Festival, Juanita will be setting off in September/October for a healine UK tour. I caught up with Juanita just before her performance at BST Hyde Park to discuss her solo material and her UK tour. Hi Juanita, how are you? We just did Bluedot Festival – it’s at Jodrell Bank – a giant space observatory. We were on Saturday evening on the Roots stage, which was a lot of fun. Oh wow – sounds intriguing! Welcome to BST, is it your first time here? No, I was here a couple of years ago as a spectator, when the Killers were there. How does it feel to play here now? Great, really cool – but exciting. It’s one of my first festivals as a solo artist, after ten years touring with Howling Bells. Oh, so it will be even more exciting. Will you catch any acts? Stevie? Oh God, yeah. My mission today is to get a photo, haha! So tell us about your set; will there be a mix of Howling Bells and solo or just concentrating on the solo material? Well, this year I recorded a solo album, so this year is definitely about promoting that, but I will be doing one Howling Bells song to make the connection. You are from Australia, but do you live in the UK now? Yes Sydney, but my accent is going. I have been in London ten years and two years ago I moved to Brighton, so twelve years in England, married to a Canadian. My accent is all getting mixed up! What do you love most about living in the UK – and what do you miss about Australia? What I love about the UK is music, the culture. I also love Europe, so it’s great being in close proximity to countries like Germany and France. I miss the beach culture in Australia and I miss the laid back attitude. What made you decide to release solo material? Is there a genre change too – as Howling Bells were more rock, right? More rock, but we always had some roots planted in Country soil, so there’s always been that. On our first record we explored dark Country which had an atmospheric vibe and I think that I have taken those two elements with me for my solo record. Your solo single I’ll Cry is out now. Could you tell us a little bit about the influence/story behind the song? Musically, I have taken my cues from the great songwriters like Roy Orbison, Patsy Cline and Dusty Springfield – and all those artists that I grew up listening to and loving. You go through phases of listening to different music – Nirvana are my favourite band ever-but there’s something about the energy when I listen to Dusty and this magnificent concoction of sadness and beauty and atmosphere. I’ll Cry Is kind of an interpretation of all that and is just like a classic, tragic love story. You released your debut album on 28th July. What can you tell us about it – sonically and lyrically? It was recorded by Gus Seyffer. He has a studio in Los Angeles and we recorded it over a couple of weeks. I’ll Cry is a good indication of the rest of the record. I have always been obsessed with sixties culture music so there is a lot of that. I also love Country music, so there is a strong element of that – and I love folk music, so that too. In a lot of ways having gone through the Howling Bells experience and coming through the other end and living this great journey, having children – all these things play a very significant role in my musical development. Has your daughter influenced your songwriting? Lyrically not specifically, but my emphasis has changed and it’s possible I have changed melodically – even vocally changed, as life changes and we have to embrace it. You are on tour for a few more dates including Cambridge Folk Festival. Yes, I have read that it is one of the longest running folk festivals – since ’65. I haven’t played there before, but definitely looking forward to it. Yes, and it is televised as well, so I hope your set gets shown. You are back again in Sept/October? Yes. This will be my first headline tour, which will give me a better opportunity to support my solo album. That will be great, as we would have heard the album so will be eager to hear it all live. There are a lot of dates, opening in Glasgow, then eight other towns including Newcastle, Liverpool, Manchester, Bristol and Dublin. Yes, I am so excited! It’ll be a lot of work, but should be a lot of fun, too. Mostly the opportunity to play my solo material and getting it out there, but also seeing the audience’s reactions – which hopefully will be positive. I’m sure they will be! Can you recommend any Australian artists to us? Have a listen to Courtney Barnett, Julia Jacklin, The Rolling Blackouts or Kill Devil Hills – all putting out some high quality music. There seems to be a big Country scene in Australia? Yes, it’s big and growing fast. But when I think of Country, I think ‘old country’. I am not so aware of Classic Country, but more of Country influences. Well, thank you so much for talking to me today and I look forward to your tour starting in September.